I haven’t posted much lately. Friday marked the one year point since my dad died. There’s a part of me that can’t believe it’s been a year already and yet there’s another part of me that is amazed it’s only been a year. So much has happened in this past year and to have not had my dad there through all of it was really difficult. My grandmother’s 90th birthday party was a really hard one. Of course it was a year of firsts, his first birthday since he died, my first birthday since he died (how strange to not get the phone call I would get every year…). Christmas and Luke’s birthday were especially hard. I still haven’t taken his phone numbers out of my cell phone; it’s just too damn hard. Of course I can’t let this one year point pass without my semi-annual public service announcement/plea: smoking can kill you and it hurts SO much more than just yourself…if you smoke then quit, please, I beg you for the sake of your family who might have to endure what my family has faced this past year. To know that his death was completely, 100% preventable is one of the most heart-wrenching aspects of it all. I know that I have a lot to look forward to this year; overall I am so much happier now than I think I’ve ever been. But every happy occasion in my life will forever be marred by the fact that I can’t share my happiness with my dad…everyone says it gets better with time but I think it gets worse. When you live in a different city and you don’t see someone every day, it’s easy to put it in the back of your mind and almost carry on as “normal”. It’s when the days, weeks, months, and now a year have gone by and you think “I haven’t talked to him in awhile, I should call him” and realize that you can’t and never will again that it is utterly unbearable. 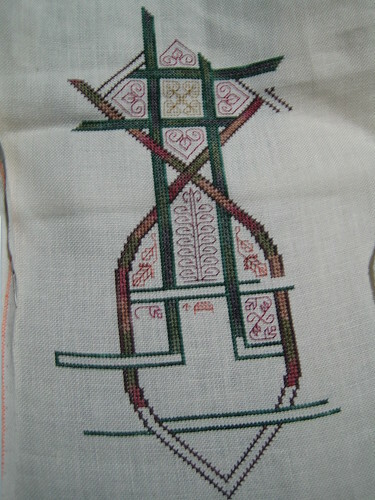 I actually started two projects, the other was Spring Arbour by Drawn Thread. 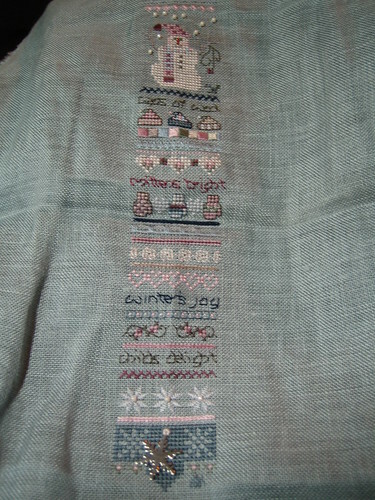 There isn’t much done though (I started it on New Year’s Eve) so I haven’t taken a picture of it. 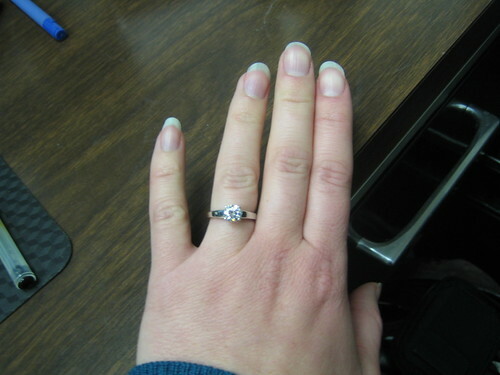 But here’s my big news…Tom asked on New Year’s Eve and I said yes! You are currently browsing the Jill's Blog blog archives for January, 2008.